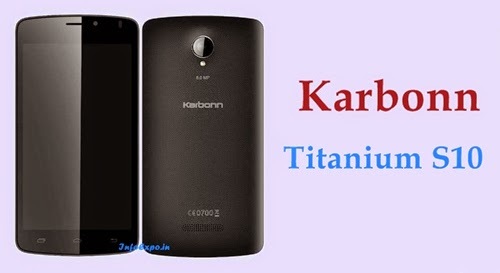 Karbonn Titanium S10 is a dual sim 3G Android smartphone which has 5 inch IPS display. Titanium S10 is powered by 1.3GHz Quad core along with 1GB RAM. Karbonn Titanium S10 is launched for Rs.7990, It is loaded with Android Kitkat OS.